Two springs (black/heavy), adjustable to 8 resistance settings. Add a Functional Resistance Kit for even more workout options. 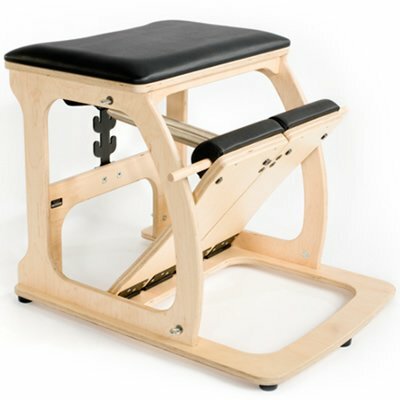 The EXO Chair delivers a unique and fun, full-body workout. Add in a Functional Resistance Kit and you can push and pull! This gives you a host of new exercises not possible with any other chair – including many that could previously be done only on a Reformer – and offers a challenging cardio/aerobic workout. Great for users of all levels. No assembly required! 5 year warranty. Black Upholstery.